The rivers have been up and down with all the rain we had during December and January. I’ve been waiting for the river to come right which needs to be low and clear. I decided to complete some short sessions as the H.Avon has not been within the banks for ages and since time was drifting away the B.Avon was calling. I decided on a short 3 hr session on a stretch I had not fished for ages. 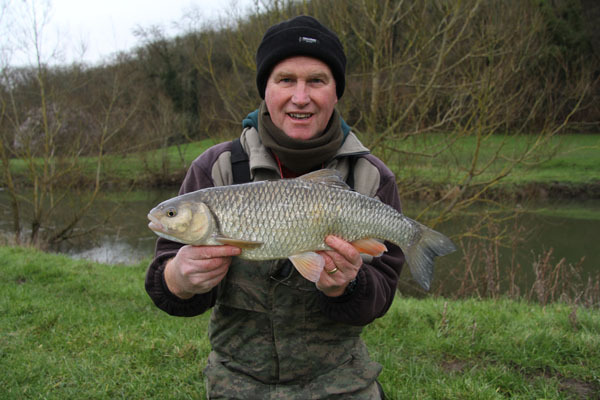 Some insider knowledge from Andy told me of a few swims that produce one or two chub. The day was sold however completely windless. The clarity was perfect so off I headed. 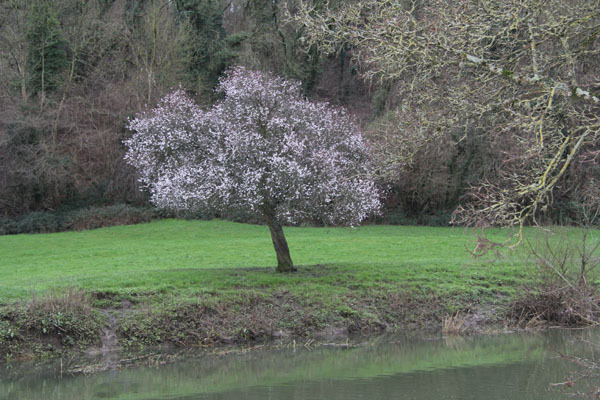 It had changed a little in the 5 years absence a few tree’s had dropped into the river giving some interesting swims. It was almost spring like weather even the tree’s looked to be in flower and this was January. My bait was home made cheese paste frozen pastry and cheese 50/50. The consistency is just right for winter chubing. Not to hard to pull off on the strike but firm enough to stay on. I caught a good few chub to just over 4lbs great fun for sure and only a couple of hrs too. This entry was posted on Monday, March 21st, 2016 at 7:58 pm	and is filed under Uncategorized. You can follow any responses to this entry through the RSS 2.0 feed. Both comments and pings are currently closed.